Upload your resume for a free expert review. with a professionally written resume that tells your story like never before. 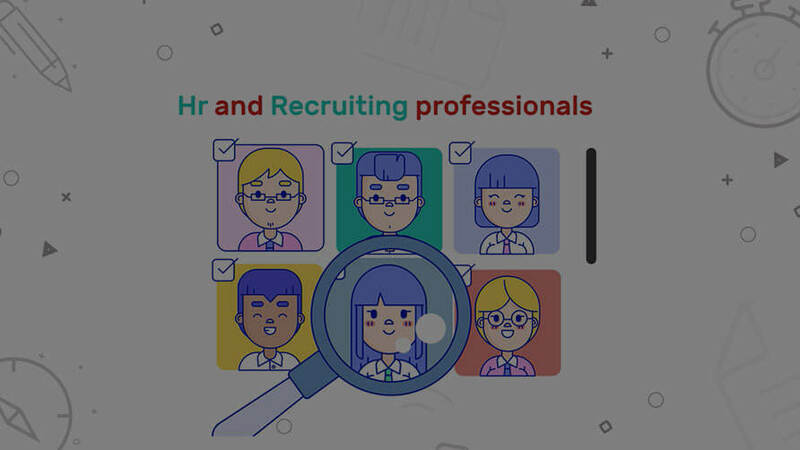 Time it takes an HR manager to decide whether to shortlist a candidate or not. Choose the package that best suits your needs. Then answer some basic questions and provide your contact information. Fill out a thorough questionnaire by answering in-depth questions about your employment history, goals and achievements, desired position. A Professional Resume Writer from our network will help you draft the resume, which you can review and suggest changes to. Our writer will edit your resume taking into consideration your suggestions to ensure that the final product is tailored to your needs. Our Professional Resume Writers will help you get 2X more interview calls. Please upload your file in PDF or Doc/Docx (for a better experience, please save & upload your file in MS Word 2003 & above versions). All of our writers are hand-picked HR and recruitment professionals who know the look and feel of a good resume. They are skilled across industries and dedicated to delivering the best product on the market. We employ professional editors who will read through each submitted document and give it a polish after a writer is finished, to smooth and perfect your marketing document. 90% of 500 Fortune companies use ATS, 70% of all resumes cannot pass it, hence are not being viewed. It takes a robot to fight one. Our in-house software will scan your resume and help with formatting and keywords to create an ATS-optimized document. We guarantee you a phone or face-to-face interview within 60 days after the completion. If not, we will re-write your resume again free of charge. What Is Your Work Personality? I was struggling landing an interview though I thought my resume was well written. It wasn’t until my Resumeble writer explained to me the concept of the ATS and the fact that most resumes now should be keyword optimized. After Resumeble guys were done with my resume, I was able to secure two interviews from the five jobs I had applied to. Excellent service and very reasonable pricing! My husband and I have decided to move to Canada through the Express Entry System. We both needed our resumes fixed up to Canadian standards. Both our writers were extremely welcoming and responsive, and both have done a fantastic job. I would recommend them to anyone in a heartbeat. I was working as a freelance translator and was looking to transition into a corporate job to secure a more stable career. Resumeble took on the task of writing my resume for me and they did a great job! All the things I was worried could stand in the way of me finding a corporate job suddenly became my advantages. I had the writing of my resume, cover letter and linked in analysis contracted and I am very happy with the outcome. The writers are very responsive and very well skilled. I have recommended Resumeble to 3 of my friends. My writer was so helpful and professional with me and that's exactly what I expected to get. A very delightful experience in something that is sometimes frustrating and confusing. Absolutely met all my expectations! Honestly, I really liked the process that Resumeble uses to get information from their clients to develop a resume or cover letter. The writers really work hard as there is a lot of conversing and research to ensure that the final product is ideal for the customers. I definitely would recommend using this service. They were prompt with replies. Very transparent and explained everything along the way. The person I worked with was very patient and really listened to my needs. Not only am I happy with my resume but the experience made me feel good about my decision to invest in myself. Excellent service that helps you look back and prepare for your way ahead. With over 23 years of diverse experience, my next role change was becoming a challenge as I was unable to showcase my experience and interests in a comprehensive and focused manner. The resume analysis and then the resume writing feature provided helped me position and articulate my experience in a logical comprehensive and focused manner. Resumeble delivered a very professional service. My writer was very friendly and determined to provide the best quality service possible. The whole process was quick and seamless with constant communication back and forth ensuring a great experience. I am extremely happy with the service and it's worth every penny paid.